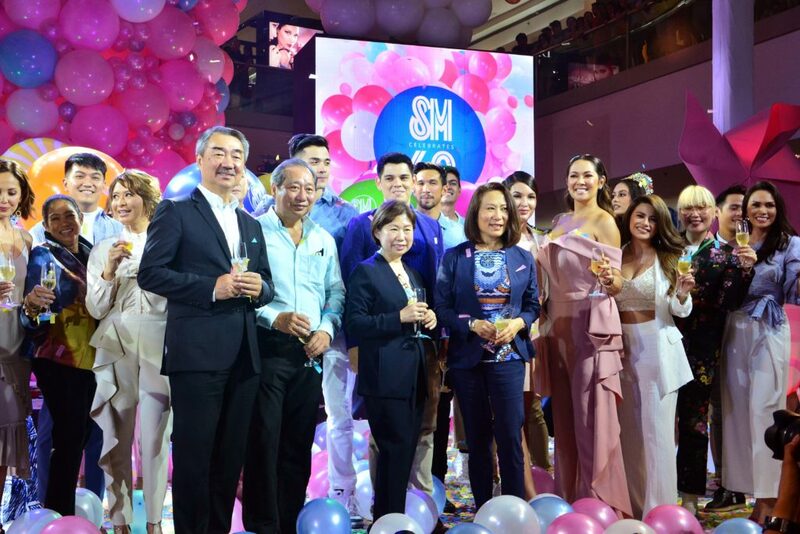 SM launched its 60th Anniversary celebrations by lighting up the iconic Mall of Asia globe, and with it, starting off a series of exciting 60 themed visual attractions, fun experiences, and interactive activities for its customers from May to October in SM malls nationwide. The SM story began in 1958 when founder Henry Sy, Sr. opened the first Shoemart store in downtown Manila, introducing exciting new merchandising and retailing concepts. At that time, Mr. Sy, who has been honored as the Father of Philippine Retail by the Philippine Retailers Association, thought that if he could sell a pair of shoes to every Filipino, he could be a successful man. In the 1960s, Shoemart expanded its shoe store chain and became one of the pioneers in the new urban centers in Makati and Cubao. In the seventies, Shoemart evolved into a department store, becoming SM, which has been synonymous with one-stop shopping excitement. SM positioned itself for growth in the 1980s, expanding its department store chain and venturing in the supermarket and appliance business. 1985 saw the opening of the first SM shopping center, SM City North EDSA. It was a time of a major political and economic crisis, but the mall was an instant success, paving way for the so-called malling phenomenon in the Philippines. Malls became part of the Filipino lifestyle, places where families and friends could shop together, dine together, and have fun together in world class surroundings. Today, SM has close to a thousand retail stores, and 70 malls in the Philippines, and 7 malls in China. Through its property arm, SM Prime Holdings, SM has also become a leading developer of residential condominiums in Metro Manila, where residents could live like a star at affordable prices. 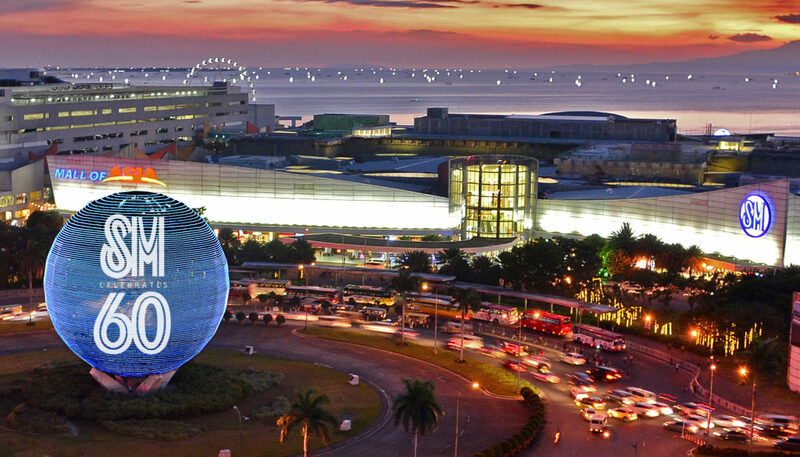 Mr. Sy always believed in tourism as a catalyst, and with that, built destination malls like the SM Mall of Asia. Through SM Hotels and Conventions, the company now owns and operates world class hotels, a state of the art arena, convention and exhibition centers, and premier beach and mountain resorts. At the ceremonial toast of SM’s 60th Anniversary launch. From left SM Chairman for Executive Committee Hans T. Sy, SM Retail Vice Chair Herbert Sy, SM Investments Vice Chair Tessie Sy Coson, and SM Hotels and Conventions Corp. President Elizabeth Sy. In the finance area, the acquisition of Banco de Oro in the 1980s enabled SM to provide better cash management services to its suppliers and retail banking services to its customers. Today, as the country’s largest bank in terms of resources, deposits, and loans, BDO has made finance inclusive for millions of Filipinos. Through SM Foundation, SM reaches out to communities with its educational, health, and livelihood training programs aimed at making farmers self-sufficient. Through SM Cares, SM has undertaken environmental programs by building green spaces in its malls, as well as sustainability efforts, trash to cash recycling, and disaster risk reduction programs. It has also make going around the malls easier for those with difficulties through PWD program. Marking the 60th Anniversary of SM in the province of Bulacan, SM Malls in Baliwag, Marilao, Pulilan, and San Jose del Monte celebrates the occasion with exciting activities and fantastic treats for its patrons. Shoppers can indulge in shopping fun and sumptuous meals as 60% discount or pay less Php 60 promos are applied to selected items with #AweSM Deals. Dazzling entertainment will also thrill the shoppers with #AweSMDance. SM City Baliwag will also stir up the milestone happenings with the Iconic 60 live painting of Guhit Pinas, Bulacan on May 25. Spot the hidden freebies and discounts from partner stores using the WallaMe App and win exciting prizes at SM City San Jose del Monte.